!! 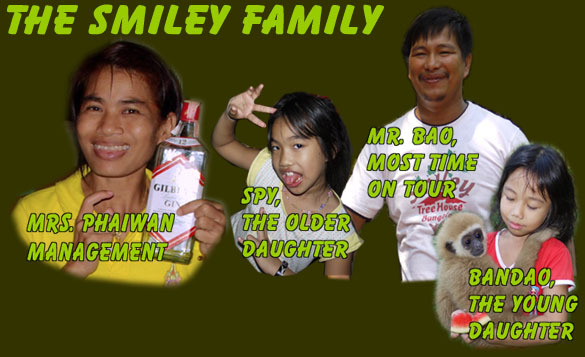 !Smiley Lake House and Smiley Bungalow are 60km apart!!! 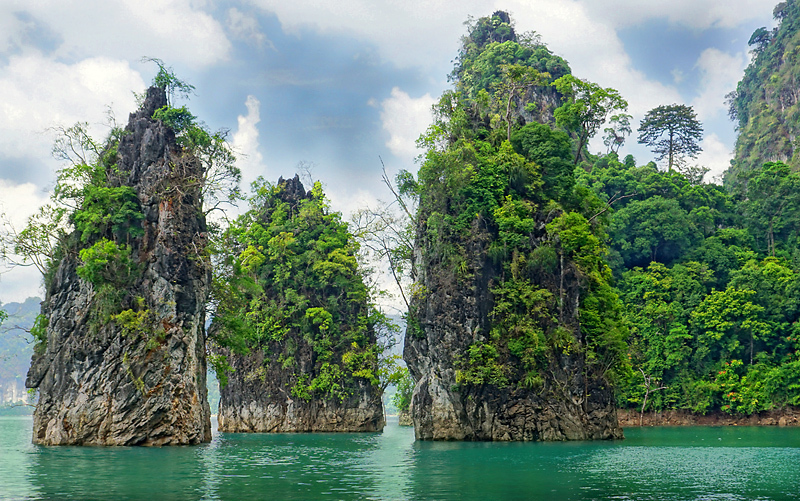 The Khao Sok Nationalpark is pure nature and you will enjoy it too!! Take a tour on our website. March 2018: Klick the image for a bigger one. Look the "tours" menue. 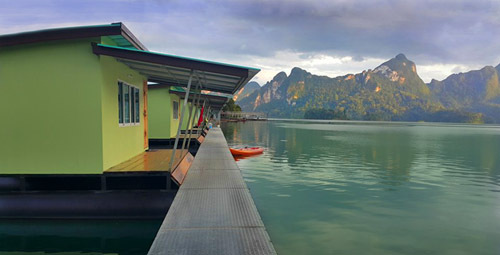 October 2016: Now we have 42 Lake House Bungalows and a new floating restaurant there. Look the "lake house" menue. December 2015: Now we have 33 Lake House bungalows. Look the "lake house" menue. March 2014: It needs more then 6 months to built the new restaurant, but now already open. New pictures added, look the "picures" menue. Smiley Lake House open now! 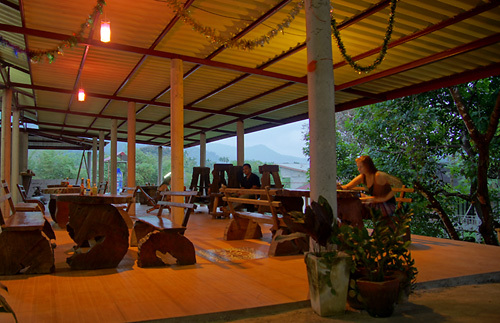 April 2011: Our new Lake House on the Chieo Lan Lake is open now! All Lake Tours will stop there. We have 11 bungalows with toilett inside. For more information klick the Lake House Button.